1.) Ever just stare at your outfit in the mirror wondering what jewelry to pair with your outfit? LaGravinese Jewelers of Pelham posted this awesome infographic that shows you exactly what jewelry to wear with different types of necklines. ?So cool! We first saw this posted on Westchester Butterfly. Make sure you check them out here. 2.) New York Gov. 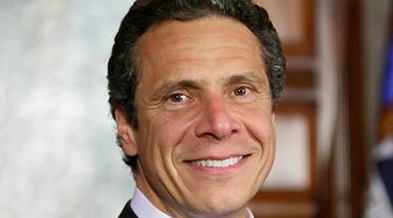 Andrew Cuomo is taking a stand against discrimination and ignorance. The governor has banned non-essential travel to?North Carolina since the state reversed a law that allowed transgender people to use the bathroom of the gender they identify with. 3.) We knew it! Unicorns are real. Science says so. According to U.S. News and World Report, a study in the American Journal of Applied Sciences found that a newly discovered skull shows that the Siberian Unicorn, Elasmotherium sibiricum, walked the Earth around the same time as human 29,000 years ago. However, the Siberian Unicorn looking more like a rhino than a mythical white horned horse. There is no word yet on whether or not their blood or horns have magical properties.